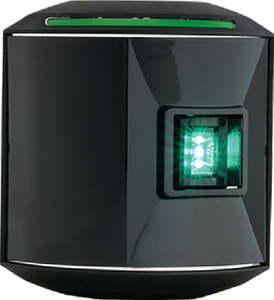 Maintenance free LED navigation lights for recreational and luxury boats up to 164'. The modern and unique design and high quality electronics guarantees safety on the water in all weather conditions. Rated for ambient temperatures from -25° C to +35° C (-13° F to +95° F). Installation is easy with specially designed waterproof cable connections made from stainless steel with "over flap" housing eliminating potential for corrosion.